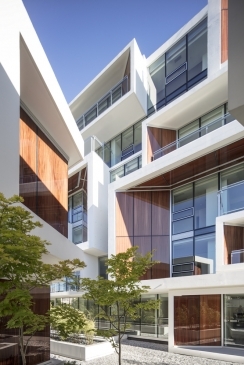 Arno Matis Architecture creates a brilliant multi-residential complex in Vancouver, British Columbia named Aperture, inspired by its multiple window depths that captures sunlight differently. We all live behind walls, but what if those walls had its own wall? See how PARTISANS adds a new façade around an entire house creates a new home without tearing it down. Atelier Barda creates a home that perfectly complements the rocky terrain of Quebec's Laurentian region using minimalistic influences! Collett Manor in Kelowna, B.C. will be Canada's first WELL certified development, paving the way for a more hollistic understanding of wellness, healing and space occupancy in hospitality and design. 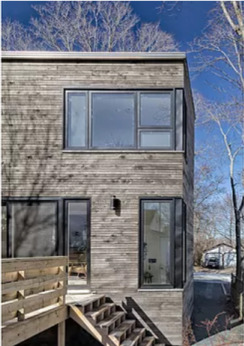 A standing ovation for Microclimat's innovative reconstruction of an old Montreal home in the suburb of Rosemont-La Petite-Patrie. Notches in this rectilinear residence by RUFproject in Vancouver, BC, maintain privacy while providing ample natural light. 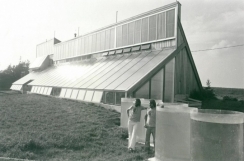 Sustainable architecture is a captivating and emerging field that has its roots in the 1970's hippie movement. 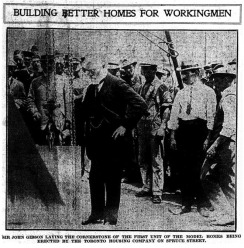 The 40th anniversary of the Prince Edward Island Ark, celebrated by the 2016 Living Lightly On The Earth exhibition, reminds us of its origins. 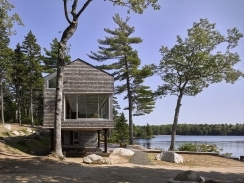 Halifax-based architecture firm MacKay-Lyons Sweetapple Architects designs a lakeside cottage which blends Maritime vernacular with contemporary craft and technology. A Victorian in Toronto is transformed into a contemporary, light-filled space by Vanessa Fong Architects. 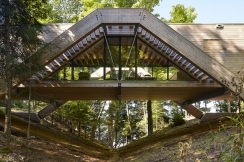 Take a look at this modernist approach to a cottage in the French River District by Steven Fong Architect! All aboard the Earthship! Meet Connie and Craig Cook, the couple that built their retirement home out of 1,200 recycled tires! Their Earthship is a testament to the power of efficient, sustainable, and off-the-grid living. LLAMA Urban Design creates a modern, open-concept home in Huntsville which highlights the beautiful Canadian wilderness. Curious about how to make your home addition look sleek yet casual? 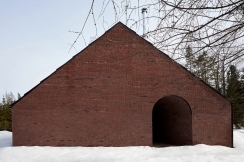 Abbott Brown's Back Box House in Halifax will give you some amazing ideas. Check out this contemporary translation of English Georgian architecture by Lorne Rose Architect in Toronto, Ontario.